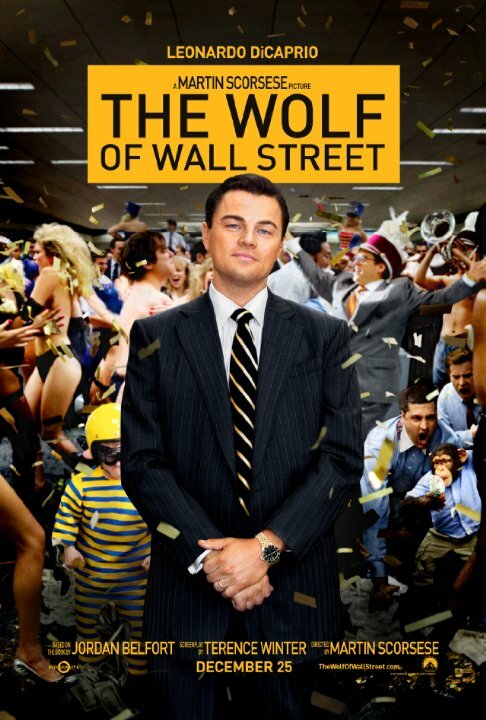 The Wolf of Wall Street is based on the true story of the rise and fall of Jordan Belfort, a Wall Street stockbroker who made millions through fraudulent stock sales. For the first half of the movie I wasn’t sure whether I should be amused by what I was seeing or appalled by the behavior on screen. The characters of this film took debauchery to a whole new level; drugs, alcohol, prostitutes – and that’s all just in the workplace. About halfway through the movie there was a scene in which the main characters were discussing the hiring of dwarfs for some of their office antics ( throwing them against a velcro dart board, which is shown in the beginning of the film) and their conversation became so over the top and offensive (one line being not to think of them as humans) that it finally hit me – it’s SUPPOSED to be this awful. These people were terrible, and everything in this film serves to emphasize just how depraved their lifestyle was. Once I was able to view the film this way and not just an attempt to be scandalous or shocking, I was able to enjoy it much more. The plot of The Wolf of Wall Street was much more linear and coherent than American Hustle, but the characters are not nearly as well-developed or likeable as those characters were. However, the performances were just as good. Dicaprio was excellent as Belfort, whether or not you found the character despicable. While I enjoyed American Hustle more overall, between DiCaprio and Christian Bale I would probably pick DiCaprio as the better contender for Best Actor. Favorite Moment: After a delayed reaction to some extremely potent drugs, Belfort has to crawl and roll himself out of the country club and back to his car, then attempt to drive himself home. This scene was practically perfect.